Definition at line 17 of file AdaptationServiceData.h. Definition at line 20 of file AdaptationServiceData.h. Definition at line 21 of file AdaptationServiceData.h. References clone(), operator=(), and parse(). Definition at line 42 of file AdaptationServiceData.cc. Definition at line 49 of file StringData.cc. Referenced by ACLNoteData::dump(), ACLCertificateData::dump(), and ACLStringData::~ACLStringData(). Definition at line 64 of file StringData.cc. Referenced by ACLCertificateData::empty(), ACLNoteData::match(), and ACLStringData::~ACLStringData(). Definition at line 22 of file StringData.cc. 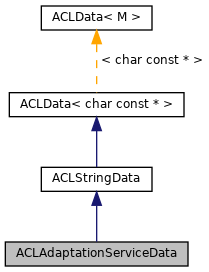 Referenced by parse(), ACLCertificateData::parse(), and ACLStringData::~ACLStringData(). Definition at line 43 of file StringData.cc. Referenced by ACLNoteData::match(), ACLCertificateData::match(), and ACLStringData::~ACLStringData(). Definition at line 28 of file StringData.cc. References debugs, SBuf::isEmpty(), and ACLStringData::stringValues. Definition at line 22 of file AdaptationServiceData.cc. 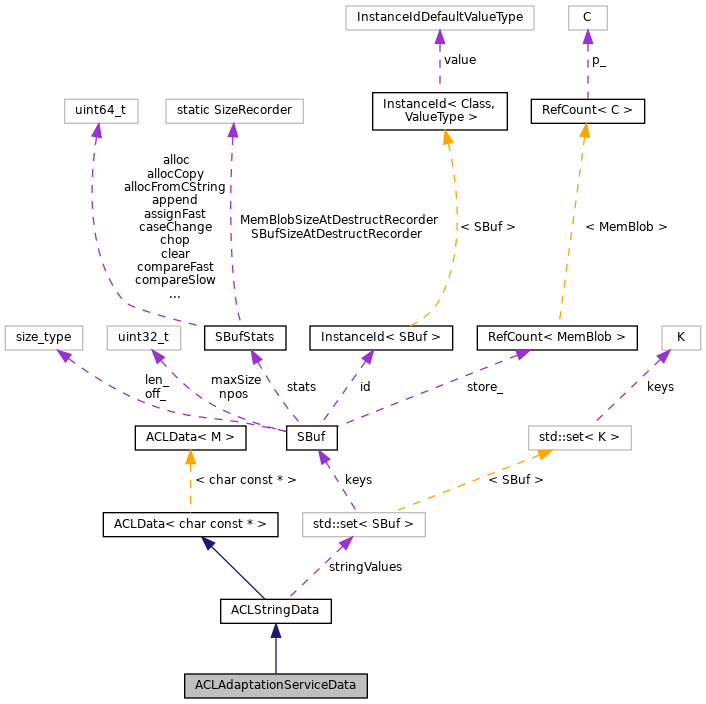 References DBG_CRITICAL, debugs, Adaptation::FindGroup(), ACLStringData::insert(), Adaptation::Config::needHistory, NULL, self_destruct(), ConfigParser::strtokFile(), Adaptation::Icap::TheConfig, and Adaptation::Ecap::TheConfig. Reimplemented in ACLUserData, and ACLRegexData.